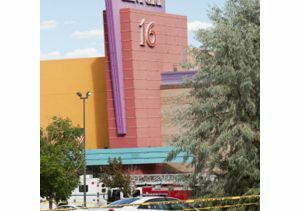 On July 20, 2012, a mass shooting unfolded at a movie theater in Aurora, Colo., during a midnight screening of the most recent Batman film, "The Dark Knight Rises;" 12 people were killed and 58 were injured. The suspected gunman, James Eagan Holmes, wore tactical clothing and carried multiple weapons while detonating tear gas grenades, incapacitating and confusing his audience as he opened fire. On Aug. 5, a little more than two weeks later, Army veteran Wade Michael Page, who had a long history of grudges and bias crimes, shot six people to death and wounded four at a Sunday service at a Sikh temple in Oak Creek, Wis., before he put a bullet through his own head. Such incidents do not stand alone. This year marked the fifth anniversary of the Virginia Tech shootings and the 13th anniversary of the Columbine High massacre. On Feb.12 in Walpole, N.H., a 14-year-old student shot himself in front of 70 fellow students. On Feb. 27 in Ohio, a former classmate shot three students and injured six. On April 2, a former student shot seven people and wounded several others at Oikos University in Oakland, Calif. And in 2008 at Northern Illinois University, a gunman, dressed in black, leaped from behind a curtain and onto a stage in a lecture hall, where he took the lives of five people before taking his own. 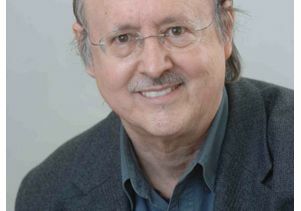 Media and cultural critic Douglas Kellner, a professor who holds the distinguished George F. Kneller Chair in the Philosophy of Education at the Graduate School of Education & Information Studies, examines the historical forces that give rise to such tragedies and the various influences that keep them in play. He has written numerous books on the subject, including one that will be released this month, "Media Spectacle and Insurrection, 2011: From Arab Uprisings to Occupy Everywhere!" (Bloomsbury 2012). Also on his list of publications are "Guys and Guns Amok: Domestic Terrorism and School Shootings from the Oklahoma City Bombing to the Virginia Tech Massacre" (Paradigm 2008). Kellner, whose work explores the pervasive power of media and popular culture and the relationship among technology, education and society, sat down with writer Kathy Wyer to discuss the dimensions of such tragedies. He offers insight into the minds of killers who gain instantaneous recognition and fame by generating a "media spectacle" of mass violence. In your work you discuss the phenomenon of the "media spectacle." What does this term mean? A "media spectacle" is an event that disrupts ordinary and habitual flows of information; such phenomena become popular stories that capture the attention of the media and the public. Media spectacles circulate through broadcasting networks, the Internet, social networking, cell phones, and other new media and communication technologies to magnetize public attention. In a global networked society, media spectacles proliferate instantaneously and can become virtual and viral. Stories like the 9/11 terror attacks, Hurricane Katrina, and Barack Obama and the 2008 U.S. presidential election were produced and distributed throughout the media as spectacles that were central events of their era. 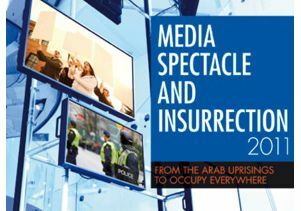 In 2011, the Arab uprisings, the Libyan revolution, the UK riots, the Occupy movements and other major events cascaded through broadcasting, print and digital media, seizing people’s attention and emotions. They generated complex and multiple effects that may make 2011 memorable a year in the history of social upheaval as was 1968, and perhaps one as significant. How did media spectacles first come about? Media spectacles emerged in the form of "breaking news" headlines that came to define major news cycles which arose with the development of cable and satellite news channels and which broadcast news and opinion 24 hours a day, seven days a week. Global cable and satellite television, which emerged in the 1980s era of neoliberalism and deregulation, increased the monopoly and competition between different media corporations and media technologies. In the 1990s in the United States, politicized forms of media proliferated, including Talk Radio, "Fox News" and other highly partisan and incendiary shows, in conjunction with the explosive emergence of Internet news and opinion, and other new media. Highly politicized mainstream media continue today, illustrated by the battles between "Fox News" on the right, and MSNBC and Current TV cable news channels on the left, as well as within the Internet, which has become contested terrain used by the left, right and everyone in-between. Media spectacles such as mass shootings in the U.S. and abroad have reached epidemic proportions. Why are such events happening with such frequency now? Mass shooting events have grown from a number of elements: cultures of violence caused by poverty; high school bullying and fighting; a heavily masculine military, sports and gun culture; ultra-masculine behavior in the corporate and political world; general societal violence reproduced by media and in the family and everyday life; and escalating violence in prisons. In any of these cases, an ultra-violent masculinity can explode and produce violence. Until we have new concepts of what it means to be a man that include intelligence, independence, sensitivity, and the renunciation of bullying and violence, societal violence will, no doubt, increase. Lee Hirsch’s film "Bully" (2011) has called attention to the phenomenon of bullying in schools, by showing intense bullying taking place on school buses, playgrounds, classrooms and neighborhoods. Focusing on five victims of bullying from various regions in the United States — two of whom committed suicide — Hirsch’s film puts on display shocking physical mistreatment of high school students by their peers. In characterizing the killers, you attribute these events largely to "crises of masculinity." Why is it men who act out such violence, and what are some of the conditions that shape them? School shootings and domestic terrorism proliferated on a global level in the 2000s with rampage shootings in Finland, Germany, Greece, Brazil, Norway and other countries, including the United States. Although there may be national differences, in almost all cases the shootings feature young men in crisis. Media coverage of such phenomena fails to show how the violence is a pathological form of resolving male crises, in which men in crisis use the media to gain celebrity and to overcome feelings of powerlessness and alienation. By "crises in masculinities," I refer to a dominant societal connection between masculinity and being a tough guy, assuming what Jackson Katz in his book "The Macho Paradox" (2006) describes as a "tough guise," a mask or façade of violent assertiveness, covering over vulnerabilities. Crises in masculinities are grounded in deteriorating socio-economic possibilities for men and are aggravated by the current economic crisis in global capitalism. They are also produced in part by media, which repeatedly show violence as a way of solving problems. Is it possible for society to effectively address such crises of masculinity, and, if so, how? Addressing causes of problems like societal violence and school shootings involves a range of apparently disparate factors such as a critique of male socialization and the construction of ultra-masculine male identities, the prevalence of gun culture and militarism, and a media culture that promotes violence and retribution, while circulating and sensationalizing the spectacle of it all amid a culture of celebrity. The solutions to such problems include more robust and rational gun laws; better school and workplace security with stronger mental health institutions; and better communication between legal, medical and school administrations as well as better notions of masculine identity and of education for democracy. In addition, we must search for more effective ways of addressing crime and violence than through prisons and capital punishment, draconian measures that are increasingly aimed at youth and people of color. Today in the United States, schools are like prisons, while in a better society, schools would become centers of learning and self-development, and prisons could be centers of learning, rehabilitation and job training, rather than punitive and dangerous "schools" for crime and violence. Mental health issues are at the center of any analysis of the killers themselves. How can we further understand these men? Conservative media pundits often use the phrase "He’s just crazy" to explain mass killings and preclude serious discussion. The Virginia Tech shooter Cho Seung Hui, the Arizona shooter Jared Loughner who targeted former Congresswoman Gabrielle Giffords and killed a federal judge and others, and the Aurora theater shooter all had serious mental health issues and call attention to the need to provide better mental health services and to keep guns and ammunition out of the hands of people who suffer from serious mental health problems. Why are college campuses such frequent settings for the killers who stage mass shootings, and what measures might help prevent such occurrences? Colleges, like the workplace, are sites of stress, intense competition and, in events of failure, of various kinds of rage. So it is not all that surprising that multiple killings have become an expression of individual frustration and rage. Obviously, the issue dramatizes the need for workplaces and schools to provide much better mental health care and the need for society to make sure this care is being provided. After Columbine and other school shootings, schools and universities scrambled to ensure that they have in place counseling and monitoring programs to deal with troubled students, as well as safety plans to address violent crises. Yet schools should also be assessed concerning how well they are caring for their students and providing a secure learning environment. After the Columbine shootings, there were strong demands for more student safety in schools. But this often led to increased surveillance, metal detectors and harassment of students that, in many cases, increased student alienation and may increase the possibility of violence, requiring serious assessment of how well violence-prevention programs have or have not worked in schools. 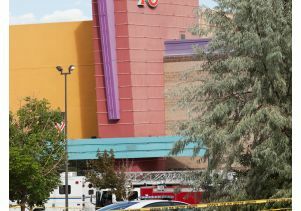 Outside the Aurora, Colo., movie theater where a gunman killed 12 people and wounded 58. What are some options for curbing gun violence both in the U.S. and abroad? Obviously, properly understanding of the role of guns and gun culture in the epidemic of school shootings requires taking seriously the need for gun control and for reforming laws concerning access to firearms. Yet since school shootings have multiple causes, there needs to be multiple solutions that ultimately involve a restructuring of school and society and include new concepts of masculinity, better mental health facilities and treatment, better gun control, and school curricula that involve peaceful conflict resolution, courses in non-violence and peace studies, and teaching compassion and empathy. Clearly, more rational policies about access to guns must be one solution. What kinds of provisions need to be made to current gun control laws in the U.S.? It was heartening that groups appalled by the Virginia Tech shootings campaigned to close loopholes where people can purchase firearms at gun shows without adequate background checks (as a girlfriend of one of the underage Columbine shooters did). We also need to examine the role of the Internet as a source of ammunition and firearms, where anyone can assume a virtual identity and purchase lethal weapons and ammo. It is perhaps not coincidental that the Virginia Tech and Northern Illinois University shooters both bought weapons from the same on-line business, or that the Aurora, Colo., assassin bought his ammunition over the Internet. On the political front, however, neither Democrats nor Republicans want to address the issue of gun control, which has been a dead issue throughout the Obama administration and is unlikely to be addressed during this election year. There is a well-entrenched "gun culture" in the U.S. and the National Rifle Association is a tremendously powerful lobby. Are such elements part of the solution or part of the problem behind the proliferation of gun violence today, and why? Gun culture and the NRA are part of the problem. Adam Winkler, a UCLA law professor, argues in his book, "Gun Fight" (2011) that Americans have had the right to bear arms since the beginning of the republic, but that there is also a long tradition of gun control. Recognizing that the Second Amendment — with its talk of militias — is "maddeningly ambiguous," Winkler argues that a balance between gun control and gun rights has marked U.S. history until the current era when gun rights groups came to dominate the discourse. He points out that the NRA strongly supported gun control until the 1970s, and that even the Ku Klux Klan started off as a gun control group, which wanted to keep guns out of the hands of newly freed African American slaves. Winkler argues that both "gun grabbers" and "gun nuts" pursue extremist objectives, either wanting to abolish gun ownership completely or resisting even minimal gun control. He discusses a 2011 U.S. Supreme Court ruling (District of Columbia v. Heller) that expanded the constitutional interpretation of the Second Amendment to move from a right to bear arms within militias to private gun ownership rights. He further documents the fierce battles still going on between gun rights and gun control proponents, recognizing that the gun rights forces backed by the NRA have the upper hand. How to reverse this situation will require immense efforts of education, political will and courage, and shaming those who, like the NRA, oppose all gun control. Previous Story Med school redoubles efforts to abolish mistreatment of students Next Story Study charts actual number of pot shops in L.A.